Iraq’s air-conditioner market is forecasted to grow at a compound annual growth rate (CAGR) of 5.7 per cent during 2018 to 2024, according to a new report by 6Wresearch, a global market research and consulting firm. 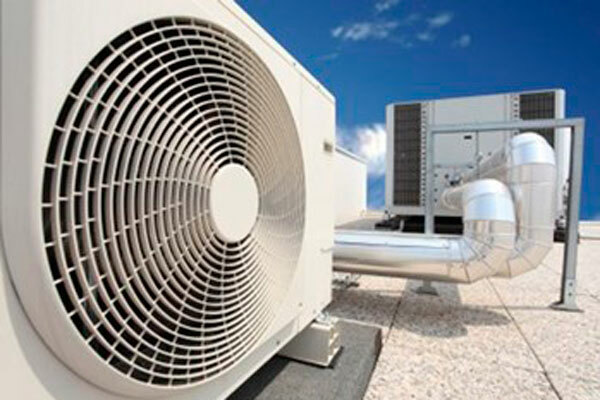 The report, titled “Iraq Air Conditioner Market (2018-2024)” estimates and forecast the overall Iraq air-conditioner market by end-use applications, product-types and regions. It also offer key insights on competitive landscape, market share by companies, market trends, market drivers and restraints, and recommendations. Cycles of warfare and conflict followed by economic volatility in Iraq over the past decade has weakened the country's governance. Security crises in the country have kept the investors at bay and damaged critical infrastructure in the country has significantly impacted economic growth. The slump in oil prices led to budget cuts and deferment of projects in the country. Additionally, poor management of funds by local firms and lack of private sector participation further resulted in delayed projects, leading to a decline in market revenues for various products and equipment including air conditioners, said the report. With oil prices stabilising gradually and conflict being even out, reconstruction and development of infrastructure is on a rise in Iraq. Substantial investment primarily in housing, oil and gas, power and hospitality sectors is anticipated to elevate the market growth over the coming years. Oil and gas, housing, infrastructure, industry, minerals, and service sectors are expected to account for 65 per cent of the overall investment in the next 10 years, while ICT, transportation healthcare, water, electricity, tourism and renewable energy would likely to grab the remaining 35 per cent investment in Iraq in the next 10 years. Furthermore, declining prices and expanding consumer base would boost the sales of air conditioning primarily in the residential sector. “Additionally, the centralised segment primarily, VRF (variable refrigerant flow) was the fastest growing segment in system air-conditioner segment. VRF systems were largely adopted among a large number of projects implemented across the country where availability of electricity is still a concern in several prime cities,” he said. “Low power consumption, quick cooling and ease of operations were other benefits offered by these units as compared to other air-conditioner types available in the market,” Samuel added. “Budget cuts were prominent across all the application areas in Iraq. Hospitality was other key application area witnessing high adoption of air-conditioning systems led by development of large number of hotels across Erbil, Najaf and Karbala attributed to growing business and religious tourism in these regions,” he added. “Moreover, during the forecast period, oil and gas and hospitality are key potential application areas which are likely to exhibit strong growth for air-conditioner market in Iraq. With globally renowned brands such as Wyndham Group, Cristal Group, Movenpick and Radisson expanding their presence in the country, the share of branded hotel supply is expected to rise from seven per cent in 2016 to 39 per cent by 2021,” Rishi further added.